I encourage readers of this blog to send the same to their representatives and also to those in the Senate Judiciary and Labor Committee: Sen. Grothman, Sen. Vukmir, Sen. Farrow, Sen. Risser, Sen. Harris. I am writing to ask that you vote against Senate Bill 22 and any change to the collateral source rule. This has been the law for a century in Wisconsin, and was recently unanimously upheld by the Wisconsin Supreme Court. A change to this rule punishes those who purchase health insurance and benefits drunk drivers, inattentive drivers and other individuals who injure citizens of this state through negligent conduct. Any change to the law in this area would effectively punish a citizen for buying health insurance. Insurance attorneys will be able to submit to the jury what an insurance company paid based upon a discounted rate the insurance company has with a medical provider -- a rate which the citizen who purchased insurance has no say in whatsoever. Discounted rates, instead of the full value of the medical bills, do not fully compensate an injured individual for their injuries. In fact, under this bill, an injured person who has health insurance and/or disability insurance would receive less money for the same injury than someone who is negligent and never decided to obtain insurance. It makes no sense. Further, because of subrogation laws, it is entirely possible that any settlement or verdict an injured citizen receives would be recouped by the individuals insurance provider, thus leaving the insured without any compensation for their injuries, much less any reasonable compensation. Again, it makes no sense. Injured individuals need money to help with future medical care and to compensate him/her/children for injuries that were sustained entirely through someone else's fault. I encourage you to do what you were elected to do-- help and protect the citizens of this state. A vote against any change to the collateral source rule would accomplish this goal. A vote for it would completely contradict your role as a Senator. Please vote against any change to the collateral source rule. Current law allows an injured person to recover from the negligent person the reasonable value of medical services required to treat the injury. The law provides that the value of medical services is presumed to be the amount of the medical bills. Evidence of the amount paid by someone else, like health insurance, is not allowed. The Wisconsin Association for Justice (WAJ) President Jeffrey Pitman denounced the bill, "SB-22 discriminates against responsible Wisconsinites who have planned ahead and purchased health insurance. By allowing in evidence of amounts paid by someone else, people with health insurance could recover less money for their medical care than people without insurance. That is wrong." First, is to deter a tortfeasor's negligent conduct by placing the full cost of the wrongful conduct on the tortfeasor. Second, is to fully compensate the injured party. Third, is to allow the insured to receive the benefit of the premiums paid for coverage that he or she had the foresight to purchase. Pitman continued, "SB-22 denies the injured person the benefit of a reduced medical bill because of the health insurance premiums paid. Families should be encouraged to purchase health insurance. Denying a family the health insurance benefit it paid for is tantamount to stealing the premium paid." Pitman stated, "SB-22 would allow a bad driver, like a drunk driver, to pay less to the injured person because that injured person had health insurance. This bill would mean that an injured person who has worked hard, planned ahead and made sacrifices to obtain health coverage, disability insurance and other benefits would receive LESS for the same injury than someone who never bothered to buy insurance. It rewards the irresponsible, not the hard-working person." Pitman concluded, "SB-22 penalizes people who have worked hard and bought health insurance. The bill rewards bad behavior and encourages premium theft." 1 The collateral source rule has been part of Wisconsin tort law since at least 1908. Gatzweiler v. Milwaukee Elec. Ry. & Light Co., 136 Wis. 34, 116 N.W. 633 (1908). 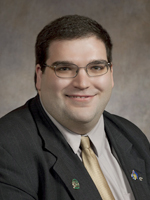 This is Andre Jacque, from the 2nd Assembly District of Wisconsin. He looks, well, very unattractive. And yes, he is smiling at you, but his smile says "F**k you!" You may or may not know him. I didn't until he pushed Assembly Bill 180, otherwise known as the "pothole liability" law. I wrote about that here: Pothole Liability He effectively took your rights away to sue for defective roadways. And, surprise, surprise, he is back at it. He has introduced a bill, dubiously titled "Jury Information Act." This bill would do away with Wisconsin's Collateral Source Rule. If you are injured, and have insurance, your insurance company has a discounted rate of what it actually pays for your care versus what the medical provider charges. ER may charge $10,000, but because of the discount, your insurance provider may only pay $1,000. The Collateral Source Rule prohibits insurance attorneys from telling the jury that (1) injured person has insurance, and (2) that insurance only paid, and medical provider accepted, $1,000. That is because Wisconsin law allows an injured party to claim the actual value of the medical bills for his/her damages. So, in our example, the injured person could request payment of $10,000 for being injured. With this new bill, the uncaring jerk pictured above, wants to take a injured person's right to be fairly and fully compensated away from the individual. He wants the jury to have this "information" so that ultimately the jury awards less money and does not compensate the injured party. Obviously, this serves two purposes: (1) saves insurance companies some money, and (2) screws the injured person. How does this screw an injured person you ask? Well, when you obtain health insurance, your contract usually has a subrogation clause. This clause allows an insurance company to take your money if you receive a settlement or jury verdict. The reasoning here is that insurance companies argued that if an injured individual had bills paid for by insurance and also received monetary compensation from someone who injured the insured person, the insured person would get a "windfall. What an insurance company is entitled to be paid back is dependent on whether the contract is governed by Federal law (BAD!) or State law (BETTER- but probably only for a little). At any rate, with the new proposed law, the jury would be able to hear what an insurance company actually paid. Thus, insurance attorney can argue that is what the reasonable value of the case is. Thus, injured individual is unable to obtain the value of what was actually billed. So, when insurance company comes calling, insurance company could take everything you received from the person who injured you, thus leaving you injured and uncompensated. Using the example above, if you only had 1 bill for you injuries, and it was $1,000, and a jury awarded you $1,000, the insurance company can (and definitely will) take your $1,000. So, in the end, you were injured through no fault of your own, you go through treatment, you sue for your damages to your body and mind (which may or may not be permanent) and in the end one insurance company essentially just transfers funds to another insurance company leaving you with nothing. Sound fair? Sound just? Sound like a good law? If you have any intelligence, your answer to those questions should be no, unless you (a) work in insurance or (b) are pictured above. This bill not only helps insurance companies, but also benefits drunk drivers, people texting while driving, people not paying attention while operating a vehicle. Do we really want to protect drunk drivers? Does that seem smart? Most importantly, does that seem fair? Why should we benefit people who make reckless or bad choices? Is a state that rewards such behavior a state you want to live in? Raise children in? What can you do? Spread the word about this bill and tell legislators that it is a bad bill which should not be supported or passed. Explain to our legislators why it is a bad bill. Explain to legislators that there job is to legislate for us, the citizens, and they are there to protect us. This bill does nothing except hurt the injured people of this state. It takes away their ability to be fairly and fully compensated for their injuries and to have money for future care related to their injuries. Emailing him is a good start. Then start emailing and calling others. This state, which was such a good state, is falling apart at the hands of those currently in power. Attacks against citizens of this state must stop.